A curio cabinet is one of the most collected antique items by enthusiasts and avid collectors. It is a special kind of display furniture that is different from your typical cabinet. It is intended for display purposes and for showcasing your other collectible items, heirlooms, and antiques. Antique curio cabinets are available in a wide range of styles, materials, and designs. Over the years, there have been numerous designs introduced into the market and each one is valued differently according to the aforementioned factors. Curio cabinets are designed to hold and display valuables, they are valuable items themselves. There are various forms and styles of curio cabinets that have been introduced over the years. But is it a different name for a cabinet? Not really. A typical cabinet can be used to display any item you have at home (school, office, or anywhere the cabinet is used). Curio cabinets are designed specifically for displaying antique items. Often, these antique cabinets display related items such as collectible toys, sports memorabilia, and figurines, among other things. The technical definition of the term is curios is a rare and unusual object. It is therefore not a new trend in the world of antique collecting. In fact, collectible curios have been sought after since the time of the Middle Ages and in the Renaissance period. During the 15th to 16th century Europe, the wealthy intellectuals travelled across the continent. This resulted in the exchange of information and artifacts becoming more popular. With the amount of artifacts available, the collectors had to find a way to store those artifacts properly. Curio collecting became a subsequent option for these antique collectors. It was a favorite past time for the rich and famous. They needed a way to showcase all the things that they have collected during their travel within Europe and outside of it. There were collections from Asia, Americas, and Africa and they vary from works of art, sculptures, and tribal artifacts, among other things. The purchase and collection of curios eventually caught on during this period. The need to use curios to display their antique collections developed into a more significant meaning. It was collected not just for entertainment but also for leaning and scientific exploration. The use of the term ‘curio cabinet’ was not used until the 1700s. This is when actual cabinets were used by personal antique and artifact collectors. Since then, personal antique collecting gained more popularity and they are used for showcasing special heirlooms and rare antiques. As mentioned above, there are different types of antique curios in the market. Classic Curio – This is the ideal choice of curio for serious antique collectors. It is designed to hold a large collection of antiques. It is basically free-standing furniture that can display items of sentimental value to the owner. You can choose a style that can go with the theme of the room (or not). Corner Curio – A corner curio cabinet is another popular type of antique curio that are sought after by collectors. As the name implies, it is designed to be placed at a corner of the house. It is also ideal for use in a small space. The curio is shaped like a triangle or with a pointed angle. This makes the back fit the angle of the wall, which fully maximizes any space inside the home that could have otherwise been put to waste. Console Curio – A console curio is one of the oldest styles available that offers a more flexible than the standard curio cabinet. It is a smaller version of the standard cabinet furniture, which is used for displaying valuable items. You can find models with four legs but there are also legless models. The latter is designed as such to feature a lower profile display. Typically, the frame is made of wooden materials and comes with a glass face. Half-Round Curio – There are two types of half round curios in the market: semi-circular and curved variety. The semi-circular one is more contemporary in design. The use of rounded sides and glass provide an elegant touch to the style. Hence, it is sought after not just for its display purposes but also for its aesthetic value to the home. Wall-Mounted Curio – A wall-mounted version of curio cabinet is ideal for those homes without any floor space to spare. Since it is wall-mounted, it is also typically smaller than other curio cabinets. As such, it is best reserved for storing smaller collectible items and antiques. Mantel Curio – This is a mid-sized version of curio cabinets. It is larger than a console but smaller than a standard curio cabinet. This is recommended for use on smaller rooms. However, you can also find a wide range of sizes to fit the size of the room where it is intended to be used. Open Curio – This is a rare type of curio because it does not have a door or back. Hence, it is similar to an open display cabinet wherein the items displayed are not protected from the elements. Since most antique curios are collected for their ability to protect (while showcasing) antique and collectible items, this is not as sought after as the other types of curios. It is growing in popularity among modern buyers, though. Table Top Curio – This is another rare type of curio that is suitable for displaying miniature items. It is small enough to be placed on top of a table or mantel. What Affects the Value of Antique Curios? Antique items, just like curios, should be preserved in their original state in order for it to preserve its value too. Hence, the first factor that should be considered when evaluating the value of curios is the condition. How similar is the current state to the original? While buyers do not expect to find antique items like curios to look brand new, it should be functional and has all of the essential components intact. A little wear and tear can be good though; it reflects the age and resilience of the furniture. Hence, you do not have to stress over some scratches or fading of the paint or color. The authenticity is also very important. In fact, it is often the first thing that antique appraisers look into when evaluating antique curios for their value. 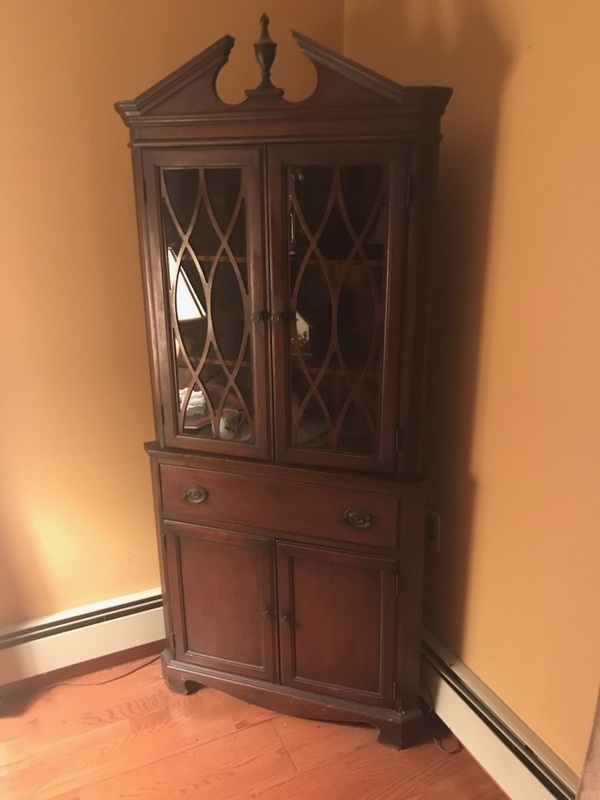 It is important that you can provide documentation to trace the history of the curio cabinet that you have. If you do not have that document, you can have an expert appraiser look into your antique curio for evaluation. They can provide you with a certification on the origin and age of the item based on their own findings. When it comes to appraising antique curios, you have come to the right place. Mearto offers a wide selection of antique appraisal experts who can provide you with an honest and expert assessment on your antique items. If you have an antique curio that you need looked into, give us a call now so our experts can have a look at them!